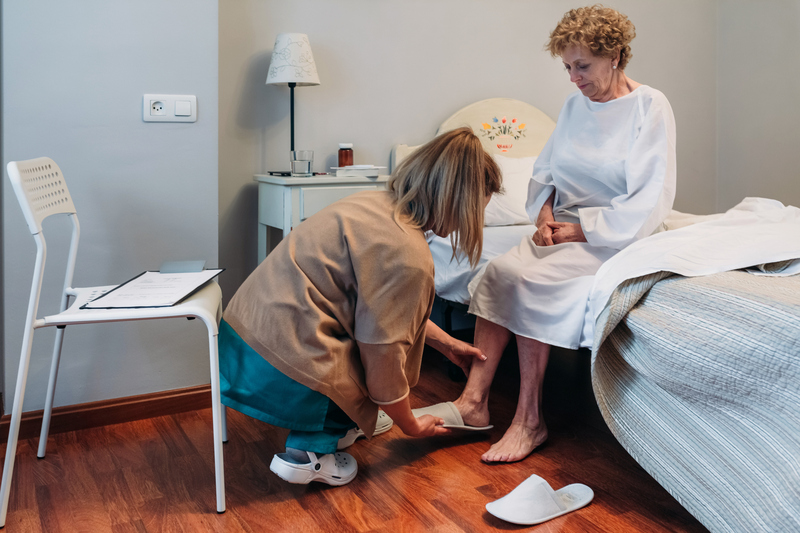 Caregivers around the globe face demanding client schedules that by all accounts are not going to let up any time soon, given the many factors that are fuelling the unprecedented growth rate for home care of nearly nine per cent each year. Labour shortages are an ongoing concern in an industry that is historically known for low wages, high turnover, and often challenging work environments. As a result, attending to the caregiver experience is imperative now for agencies, who must ensure the best possible quality of life for their staff members in order to retain top talent. Quality of life involves many factors, yet optimized schedules that meet the needs of both caregivers and clients are important attraction and retention tools. Minimizing travel time and ensuring consistent hours to achieve a stable income have become paramount to keeping staff happy and, in turn, ensuring quality client care. Technology has become an important variable in the ability to optimize schedules, particularly when it comes to mobile apps. Let’s take a look at exactly how a caregiver's time utilization can vary sharply with and without the use of a mobile app. Ingrid is a pseudo 29-year-old caregiver who works for a home care agency with a client base that covers a large district in southwestern Ontario. She calls her agency at 6:30 a.m. to get that day’s schedule, which includes visits to regular clients as well as a new client she is caring for in her colleague’s absence. Ingrid drives to her first appointment, her regular client Emily, whose severe arthritis typically means she needs help getting out of bed, bathing and dressing. The drive takes about half an hour, and once Ingrid arrives, she finds out the appointment has been cancelled because Emily’s son wound up arriving early for a long weekend visit. Her next client visit isn’t for another two hours, so she drives home again, frustrated that her this client was on the opposite end of the county from where her other two clients are located, requiring hours of driving. Now time for visit #2, Ingrid is back in her car and off to see a new client she is caring for today, whom she has never met. Audrey is in her mid-50s with COPD who requires oxygen therapy and medication. Ingrid arrives and finds a large dog barking at the door, which makes her nervous. The dog is wary of Ingrid and it takes Ingrid several minutes to help calm him down and properly introduce herself to Audrey. Ingrid is there not only to help with oxygen and other medical needs but to do some housework and provide companionship. Before she begins active time with Audrey, however, Ingrid searches for Audrey’s care plan to give her some additional insight into Audrey’s needs. She can’t find it in her binder right away, so she spends time asking Audrey to try and get more information. 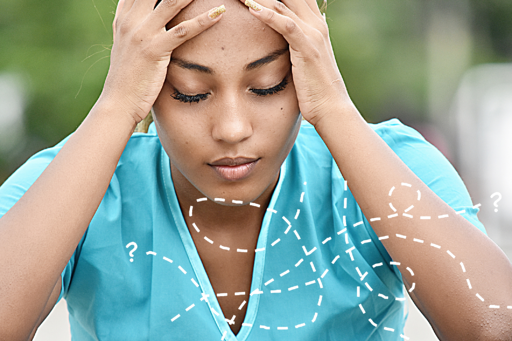 Audrey is frustrated by having to repeat information to different care workers and is in some cases unable to remember certain details that would have helped Ingrid. Prior to Ingrid leaving, she spends more time completing paperwork before getting in her car for her last appointment of the day. This time it’s to visit Jack, a gentleman in his 70s who has specific needs when it comes to his recent diagnosis of chronic heart failure. When she arrives, Ingrid spends time assessing his vital signs and is concerned that Jack’s blood pressure is low. He seems lethargic and he’s not able to articulate how long he’s been feeling this way, so she decides he should be transported to hospital. Her shift over and worried about Jack, Ingrid fills out her timesheets and drives to the office to drop of all of her paperwork before finally heading home for the day. Now let’s take a look at what Ingrid’s day looks like once her agency implements an all-in-one home care software solution that includes a mobile app for caregivers. Ingrid logs into her app to view her schedule for the day. Her schedule overview gives her complete visibility into where and when she’s expected to be at a client’s home, in addition to estimated travel time. With GPS and route optimization, she knows she’ll be able to get to each home the most efficient way possible, and the back office has been able to ensure her schedule entails no back-and-forth trips across the county. Before she leaves for her first appointment of the day with June, she receives a real-time alert that the visit has been cancelled, saving her an unnecessary trip to the client’s home. Since Ingrid's morning shift was cancelled, her schedule now shows her as "available" to her colleague Susan, a care coordinator at her home care agency. Through the employee finder feature in the back office, Ingrid was flagged as a match for another shift that needed to be filled within close proximity. Susan sent a Ingrid a shift offer, which came through on her mobile app. If Ingrid had wanted more hours, she could have accepted an additional shift in real-time, however with the extra time she decides to prepare for her second visit, with Audrey. Using the app, Ingrid is able to access the client’s care plan and see all the notes uploaded by Audrey’s previous care worker so she knows exactly what to watch out for and where to take extra care. Ingrid can now see that there is a dog in the home, and that Audrey loves to play gin rummy. Audrey and Ingrid enjoy a relaxed visit and Audrey is pleased that her care was not interrupted despite her regular care worker’s absence. Upon arrival, Ingrid clocks-in to her visit with the push of a button, ensuring compliance that she is where she says she is through electronic visit verification. 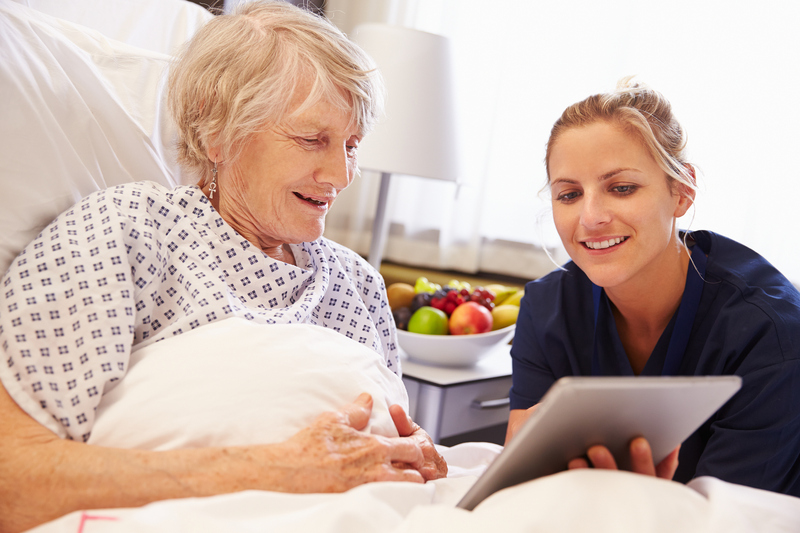 In real-time, Ingrid inputs all her notes into the app is able to ensure everything is compliant to Audrey’s care plan through the visit reports and tasks assigned to the visit. Even though Audrey lives in a remote area with intermittent online access, Ingrid knows that all of her information will be saved and will upload once her device reconnects to the network. Before the final visit of the day, Ingrid reviews the notes on her app for her client, Jack, before ringing the doorbell. Because Jack uses remote patient monitoring, she’s able to easily see all of his vital signs before the visit even begins. Before she leaves Audrey’s house, she gets an alert that Jack’s blood pressure is starting fall outside of normal and is able to confer live with other members of his care team to decide the best course of action to take. At the end of her visit, Ingrid is able to clock-out of her visit with the click of a button, eliminating the need to head back to the office to submit her timesheet. Her paperwork completed in real time, she is finished for the day. Whose day would you rather have? While the above scenarios are hypothetical, the actual benefits realized from a mobile app are very real. What’s listed above only scratches the surface of the time, cost, and administrative savings that can be realized through home care software – not to mention the better client outcomes that can result. Ease of use: Ingrid was able to easily view her schedule, client data and more through an intuitive mobile dashboard. No paper or timesheets: Ingrid completed her day entirely paperless. She did not have to manually record any client information, nor drive to the office to clock-in or out. Real-time information: Ingrid was able to access everything she needed from her appointments for the day to client information, charts and potential issues, and was able to get up to speed on each client before even entering their home. ADLs and electronic charting were also simple and non-invasive. Streamlined travel: Ingrid made use of GPS and route optimization to easily get to her next client and potentially save hours of driving. Offline mode: Ingrid was able to upload her work as soon as she reconnected to the network so her notes weren’t lost despite the fact she was in a remote area. Our client data also provides eye-opening insight into several substantial quantitative benefits. Consider that without an app, home care workers can travel up to four hours to complete eight hours of actual care delivery. With an app, on average we are finding up to 30 per cent reduction in travel time. An app and its accompanying home office software can also empower schedulers to not only optimize care worker time but save on back office administration efforts too. 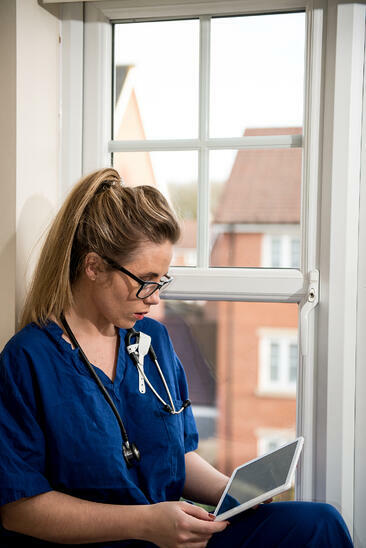 In fact, the right software solution can help one scheduler easily manage 2500 hours of care worker time, representing 380 clients in a month. In addition, once automated, time for schedule distribution is reduced from a typical 30 minutes per week down to zero. The administrative, client, and care worker benefits are clear. 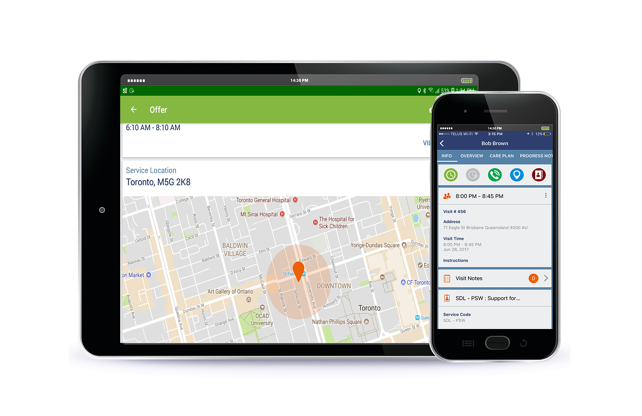 If you haven’t considered a mobile solution for your care workers yet, it’s time to start realizing the benefits of an all-in-one solution to both optimize schedules and improve quality of life for employees and clients alike. AlayaCare offers the #1 home care mobile app provides caregivers with real-time access to schedules, route details, billing, risk assessments, time tracking, client data, and form reporting - AlayaCare’s intuitive, responsively designed, and feature-rich app is available on both smartphones and tablets. Request a demo today too see the home care software in action and learn how we can help you improve your caregiver experience. "A deal breaker for me when selecting a platform was whether they had a mobile aspect. It’s extremely important to be able to access information remotely and give our care workers this feature. Live reporting allows us to be as efficient and accurate as possible." "AlayaCare’s real-time access to information at any time permits Access Healthcare’s caregivers to understand a client’s complete history before arriving for a scheduled visit. This vastly accelerates their ability to provide care, as clients don’t have to keep repeating their story to various field workers, and workers don’t have to use up valuable time in a client’s home by rifling through paper notes. All relevant information can be entered and viewed in real-time through a mobile device." Tammy Hehn Access Healthcare Services Inc.